« What political view do you affiliate with? Are You an Echo Boomer? Generational gaps do not have black and white borders but a shaded gray area. The baby boomers, for example, started sometime between the time frame of 1946 and 1953 and ending sometime around 1964. Being the children and grandchildren of the baby boomer generation, the echo boomers, started sometime around 1977-1982 and lasting until 1995-2000 as an “echo” of the baby boom, post-war peak. 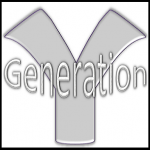 Also known as Generation Y, the Next Generation, the Net Generation, the Millennial Generation, and the Millennials, echo boomers grew up in the 1990s and 2000s, being the generation that stretched into the new millennium. Some of the historical events that highlight this generation were the fall of the Berlin wall, the Gulf War, the rise and maturing of the Internet, Columbine, fears of Y2K, and 9/11. Some of the issues that this generation faced were the growing diagnoses of ADHD, childhood obesity, prevalence of parents having divorce, school shootings, and widespread drug and alcohol abuse (although some studies have shown that alcohol, drug, and divorce rates have been dropping in recent years). Some of the more iconic (positive) trends of the echo boomers are the rising use of technology, the growing availability of media, the freedom of information, social networking, socially liberal attitudes, optimistic attitudes of inherited problems (pollution, divorce, drugs, war/politics, economy, etc), tolerance of cultures and race, and a strong belief in teamwork and community. 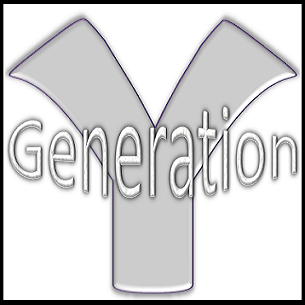 Generation Y has already entered the workplace and is shaking the status quo. They have been known to be ambitious and efficient leaving some with the impressions of entitlement and laziness. Some of these assumptions are misunderstood due to Generation Y’s high expectations and ability to multi-task with ease. Echo boomers in many cases have limited loyalty to employers and seek out comfortable working environments, fair pay, and benefits. Some iconic cultural references include: Transformers, Teenage Mutant Ninja Turtles, Ghostbusters, Batman, Pogs, Nerf guns, Cabbage Patch Kids, Tickle Me Elmo, Beanie Babies, Tamagotchis, Furbies, Yo-Yos, pop music (boy bands, girl bands, Britney Spears), re-release of Star Wars, Power Rangers, Seinfeld, Pokemon, Simpsons, and the birth of Reality TV. Is there a name for those born in 1944? The one before that was the Greatest Generation.